BTC China, until recently the world’s largest Bitcoin exchange, has begun allowing users in China to make deposits in their local currency (Renminbi), ending a six-week block that affected domestic users and sent the price of the virtual currency tumbling. 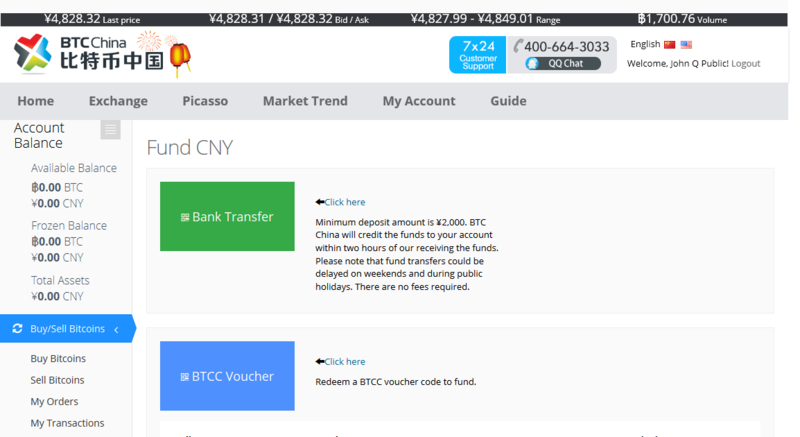 The site stopped accepting deposits in Renminbi on December 18 following a memo issued by the Bank of China (BoC) that warned of the risks surrounding Bitcoin, although users could use US dollars and other international currencies. That action is thought to have been the spark that sent the valuation of Bitcoin crashing from $880 to $435 in under a day. Previously, we judged doing this as not being viable, however, we have since changed our stance. We looked again at the guidance issued in December and we think it’s a reasonable for us to accept customer deposits via our corporate bank account. The fact the PBOC said exchanges need to register with MIIT essentially means it recognises exchanges as a business category and BTC China as a legitimate business. Lee’s rationale may be that his company overreacted to the BoC’s warning, but more cynical observers might put this down to the drop in business that BTC China has seen since implementing the restriction. Volumes in China have been down since December. A lot of the people we have spoken to have stopped trading, they’ve cashed out, so activity has calmed down a lot. Volume is certainly going to be low for the next few days because we’re going through a Chinese New year period. Beyond simply allowing cash deposits again, BTC China has introduced its Maker-Taker program, which rewards those who increase liquidity (by offering multiple buying and selling offers) with 1,000 RMB ($165) when the total paid out to makers passes 100,000 RMB. Those that ‘take out’ pay a 0.3 percent fee on transactions. Lee believes the program “brings more market depth and more liquidity to the site, plus it reduces volatility, which makes for a healthier for market for bitcoin in China.” He says BTC China has already paid out close to $500,000 in fees, though Pando Daily notes that there have been challenges — some trading bots appear to have been exploited over maker fees. Bitcoin has seen a spike in activity in China during the Chinese New Year period. Hong Kong-based exchange ANXBTC gave away $65,000 in the virtual currency by feeding into the seasonal tradition of gifting money in red envelopes. New Year’s Day is today, so it remains to be seen if BTC China has reopened domestic currency deposits with enough time to take advantage.